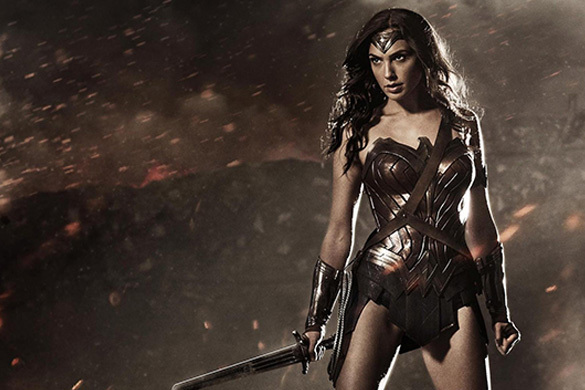 Wonder Woman: Breaking the glass ceiling for women in film? Director Patty Jenkins is being touted as Hollywood’s new superhero, having achieved the best box-office opening weekend by a female director, ever. Wonder Woman finally made it to the big screen this month, exceeding expectations by bringing in $103.1 million for its opening weekend in North America and grossing more than $438 million worldwide to date. The film’s long-awaited debut has caused quite a stir, forcing the industry to address the much-debated matter of gender equality. The 19th annual Celluloid Ceiling report found that women comprised just 7% of all directors working on the top 250 domestic grossing films in 2016 – a figure that represents a decline from 2015’s 9%. According to a 2017 Media, Diversity and Social Change Initiative report by USC Annenberg, females rarely direct in lucrative film genres such as actions and thrillers, instead sticking to dramas and comedies, which generally bring in less at the box office. Despite it being 2017, Wonder Woman is the first major superhero film to be led by a woman. A welcome disruption for many, Jenkins’ Wonder Woman screams female empowerment. Not only does it feature a female protagonist, but most of the cast and crew are women – from the director to the production designer, set decorators, special effects technician and visual effects coordinator. But the question remains: will Hollywood change? Wonder Woman has proved that female-focused action films most certainly have an audience, but as history suggests, this doesn’t necessarily mean that a broader change across the industry will follow. Thelma and Louise, one of the most iconic films to be shot in Utah, seemed poised to be a game-changer for gender politics following its 1991 release. At the time, the film stirred controversy but is now considered a classic and has become a landmark of feminist film. 2016 saw filmmaker Sydney Freeland direct Netflix’s smart comedy Deidra and Laney Rob a Train, and this year sees Clare Niederpruem make her directorial debut with a modern adaption of Little Women, both filmed in Utah. We are certainly seeing women creating content and landing roles, but in stereo-typically ‘female’ genres. And when it comes to un-apologetically strong women in action roles, the likes of The Hunger Games and Max Max: Fury Road, the statistics suggest that these remain few and far between. Patty Jenkins has said: “The world is changing, so if Hollywood wants to get rich, pay attention to this: Women are our biggest audience in the world right now. It would be wise to go after them.” If there’s a hint that Hollywood is changing its attitude toward women, this may be it.